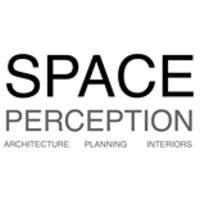 Space Perception (SP) is a multidisciplinary team comprising architects, designers and engineers with expertise in providing a bouquet of services from large scale urban design to independent houses. 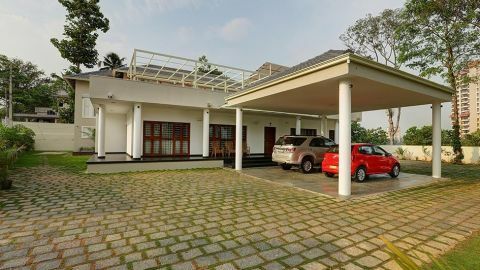 Formally established in 2013, SP has completed projects in Bengalure and across the country, our projects have been featured in design magazines and news papers. 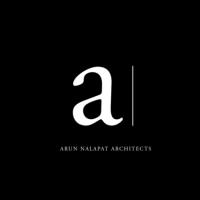 At Arun Nalapat Architects, we see limitless possibilities in the way we could influence the world with ideas, innovations, and design. Experience does come in handy, but fresh talent, new ideas, and enthusiasm are a gift to us. Saying so, we are always on the lookout for freshers and architects to join us in our successful and endless journey in Architecture and Design. 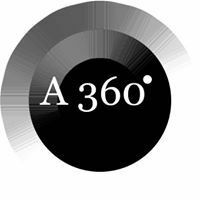 A360 is an architectural and interior design firm based in Bangalore, India. 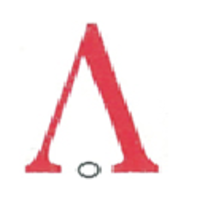 A360 was founded by Architect duo Subhash Saraff and Madhan Vasudevan in the year 2000. Here at A-360, we seek to realize, create and establish a living environment most suitable and appropriate to the function and design, the mechanical and philosophical, the visual and ethereal needs of the client. ‘Keystone’, began as a passing thought in 2002, finally materialized in September of 2003, a modest setup, with mostly friends and acquaintances as clients. With our work to speak of our ability, more projects began to come our way, and the office soon grew into a team comprising associates and architects. 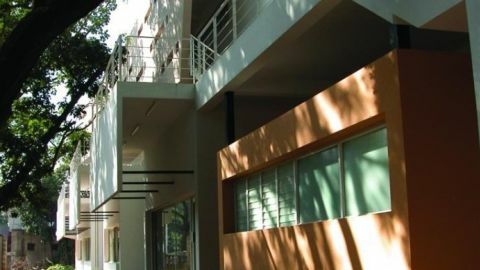 Located in Jeevan Bhima Nagar, Bangalore, the office is a remodeled house, with a feel that inspires a work atmosphere and culture of its own. Our current projects include residential, commercial, hospitality, institutions, apartment buildings and interiors, with a varying clientele. ‘Keystone’ is of a simple design philosophy - designs that work, both aesthetically and functionally. With people as our focus, solutions are always client-centered. 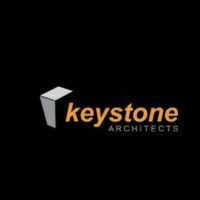 Keystone’s design process involves consultancy at every stage, with clients as well as engineers involved an effort to give clients something beyond their expectations. 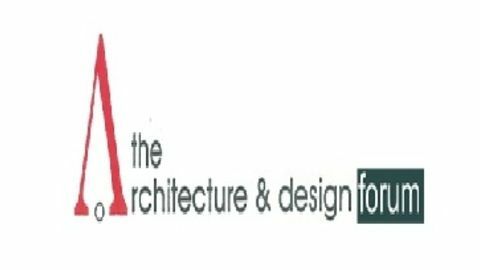 Keystone Architects’ is a member of ‘Council Of Architects’ (COA), INDIA. As, we�ve got it figured out. Your home should reflect your life. Your designers should be both fun and fresh. And the end result should be exceptional design that is not just about frou-frou luxury, but a gorgeous necessity. 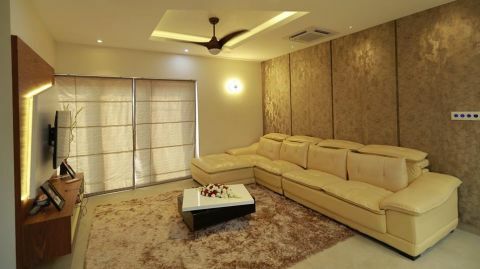 We, Mayur Constructions With over __ years combined interior decorating experience, we�ve got the knowledge and skills to accompany our playful approach. We travel. We cherish family. We understand independent, modern lifestyles. We explore color and neutrals, texture and light. We always strive for harmony. And we�re not just constructors; we love working with commercial projects, too. Our interior design ideas fulfill whatever you need to fully inhabit your space and find it beautifully functional � be it home or business. Through our work, we attempt to create a vocabulary that is contemporary and suffused with innovation. We have an eye for detailing as it is our belief that the soul of a building lies in the details. Every project regardless of its size is approached with same enthusiasm and the client’s requirements are considered of utmost importance. Our intention is to evolve contextually responsive, culturally rooted and resource efficient spaces that encourage an interaction between the users and the surrounding. Helping to build dream homes! A design workshop where our core values are nurtured with a spirit that is everlasting. An abode where we believe that goodness is more important than greatness and compassion more eventful than passion. 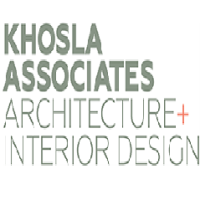 Khosla Associates, a leading Architecture and Interior Design firm based in Bangalore India, was established by Sandeep Khosla in 1995. 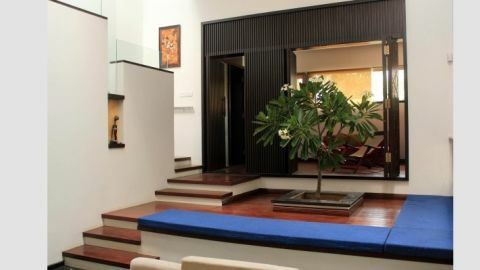 The firm headed by Sandeep Khosla and Amaresh Anand create a versatile body of work ranging from architecture and interiors of residences and corporate offices to retail and hospitality spaces. They have in the past 20 years of practice won over 25 National and International Awards including the Inside Outside Designer of the Year Award, 2010. 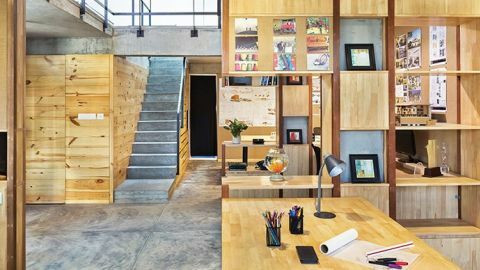 They were the ‘Education’ Category winner at the INSIDE World Festival of Interiors 2013 in Singapore, won the Commendation Award for the Best Public/Institutional Project for Delhi Public Kindergarten School at Trends Excellence Awards and are Finalists at the World Architecture Festival WAF, Berlin 2017. 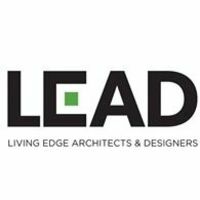 Living Edge Architects and Designers, fondly known as LEAD, is a design and architecture firm of young architects and youthful vibrancies. 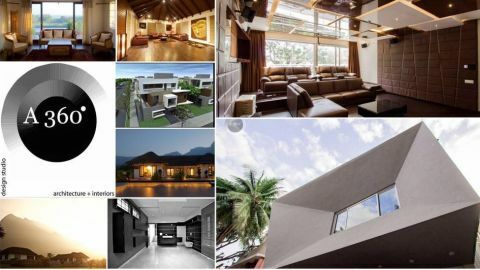 Co-founded by Architects Shone Saju & Dinesh Shanmugam in the year 2010, it has come a long way with it’s rich list of completed projects and satisfied clients, within a short span of time. Our motto is to create innovative places & identity. 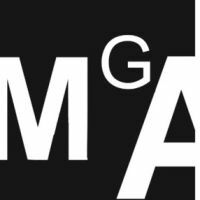 The firm\'s practice is characterized by our combined emphasis on design excellence and high standards of client service. We are committed to enhance people’s lives through better Architecture & Design. 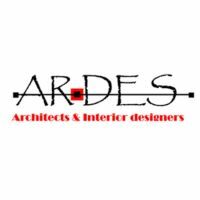 Our work is characterized by clean lines; by an ability to creatively integrate exterior and interior spaces; by our clear understanding of, and responsiveness to our clients\' requirements. Our comprehensive skill set and ability to encompass the functionality of a facility with contemporary styling and brand characterization is what gives LEAD a collaborative drive to partner with our client. This exercise coupled with optimized design standards, design style, design adaptation, scale, visualization and material allocation are the values which drive us to be client centric. Our portfolio includes Residences, Group Housing, Institutional buildings, Commercial, Religious and Hospitality Projects. 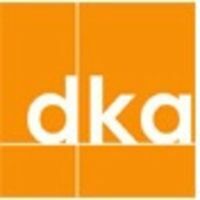 DKA is a multi-disciplinary architectural & Interior design practice established in 1984 by SK Dutta. 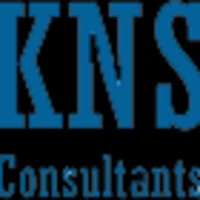 In 1999 the firm was renamed DKA with studios in Bangalore & Kolkata. 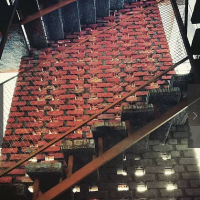 The present design principal Indraneel Dutta is a Master\'s Degree holder from the University of Illinois at Chicago, School of Architecture and has extensive local, international professional and academic experience. Our holistic approach to Architecture includes full interior design & planning services. The practice has experience in designing private residences, apartments, commercial buildings, hospitals, interiors, aviation & mixed-use developments. Hybridarch is now a part of DKA, beginning May 2006. 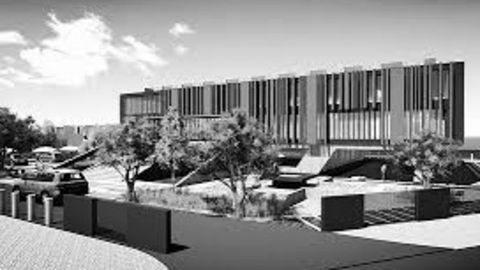 Hybridarch is a design laboratory, experimenting in architecture & product design through extensive use of 3D modelling & fabrication technology. 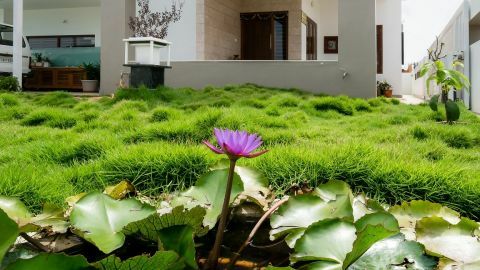 We Green Belle cater to both residential as well as commercial clients, also undertaking turnkey projects with a respectable track record of over ten years in and out of Bangalore. Our Expertise has a wide array of dedicated services such as designing and decoration, joinery and fit-out jobs of residences, commercial buildings, corporate offices, hospitals, showrooms, hotels and restaurants. 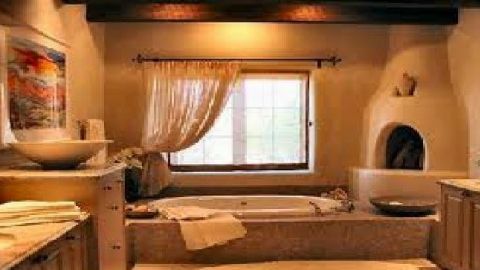 At Green Belle in Bangalore, we offer quality services for all your residential and commercial design needs. 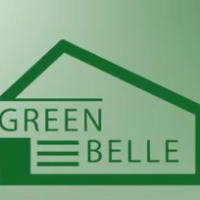 Green Belle is your complete architectural designing source offering – residential interior designs, commercial interior designs, floor planning, house renovation and modification, custom plans and several other architectural contract and turnkey projects. We strive to execute the best piece of work for our esteemed clients. 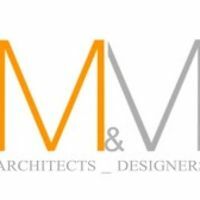 M&M Architects was founded by Mr. Moncy Abraham in the year 2007 in Bangalore. From the beginning, the practice has advocated the principles of minimalistic, elegant & sustainable development, and applies strict ecological, environmental and sociological criteria to the projects that we undertake. Sandarbh Architects is an enthusiastic team of architects led by Sai and Leena. We enjoy working on residences and all other forms of the built environment and believe that God truly is in the details. 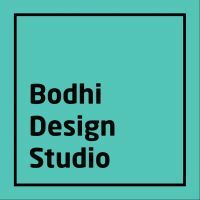 We at BODHI, design thinking in mind that our design creates culture, which in turn creates values that determine future. This philosophy has helped us in creating practical and aesthetic spaces with a thrust on durability and recyclable material, often combining them with paradoxical materials. We focus on delivering site responsive and context responsive designs, approaching it holistically which blurs the boundaries between the disciplines of Architecture, Interior design, Landscape, Furniture design, and Lighting. Ever since its beginning in 2013, with the experience of successfully completing over 30 projects in residential and commercial interiors, residential architecture and renovations, we have been building a wonderful relationship with our happy customers turned friends. Every tangible structure begins with the imagination, as a spark of inspiration, a hazy picture. And each picture is a manifestation of your own identity – a projection of your personality. These abstract images require not just expertise, but empathy to be rendered into concrete realities. 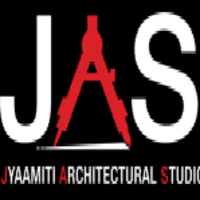 Three friends, who shared this conviction, started Jyaamiti Architectural Studio in Bangalore in 2008, to give shape to people’s ideas of their perfect spaces. 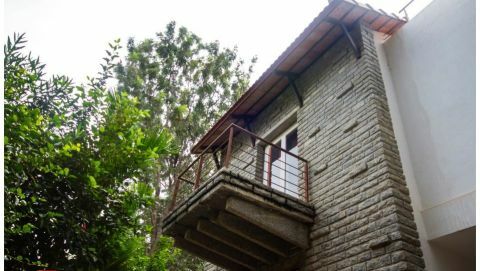 Since then, the Jyaamiti family has grown to include an office in Chikmagalur, several young and enterprising architects, and a huge number of very happy clients! 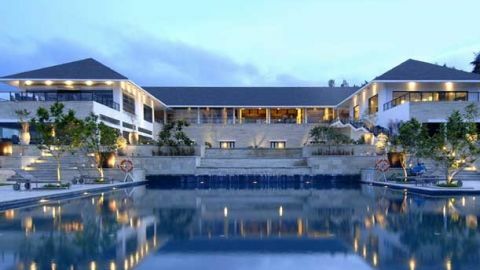 Founded in 1993 by Architects Gayathri Shetty & Namith Varma. 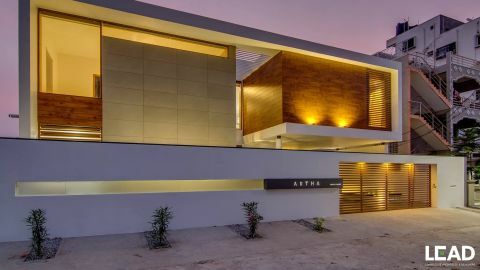 Gna is an avant garde architecutre firm from Bangalore. The team today comprises of senior designers with 60 architects, engineers and multidisciplinary professionals. The company possesses a wide range of design expertise spanning from traditionals structures to progressive contemporary technological designs. Our design philosophy has always been to work closely with our clients in helping them realize their dream. Our designs almost always have nature wrapped around the built spaces with no clear boundaries, where one flows into the other and interior spaces speak with nature and are drenched with natural light. Our aesthetic approach and design sensibilities are deep rooted in Indianess with a very simple form follows function approach. 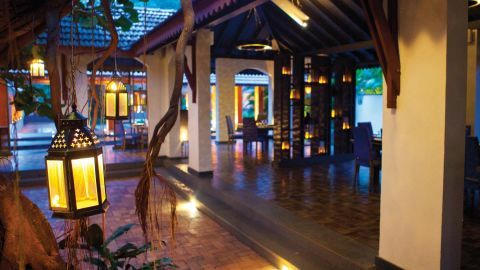 Spaces, functions and form are envisaged only after many long interactive sessions with clients often interspersed with lunch/dinner and sometimes even masala dosa timeouts. Living environs today need more than just a space to accommodate functional requirements, they need a perfect contemporary design setting to suit the new age needs. Making of such environs require a thorough understanding of the architecture and the interior spaces with proper importance to customization. Here comes our role as a designer with a good application of contemporary and functional aspects needed for bringing out the best end product. Our team has an average experience of 6 years in design and project execution. We provide services in the form of our best competencies in Architecture and Interior designing aspects along with integrating other value-add components like project estimation and costing. Our service proposition is commitment, customization, and continuous improvement. Various such projects executed in major metros in South India stand as examples of our services. 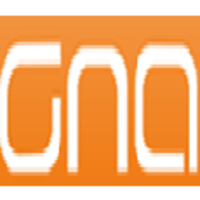 Alpha & Omega Interior Projects Pty Ltd is an experienced and committed commercial office interior fit out company that can provide you with all your interior fit out needs. We are qualified to complete work from demolition to the final clean ready for you to move in to your new work place area. Handles S, M L, XL projects in urban design, Architecture, Landscape, Interiors, and ProductDesign, along with Co-Director Soumitro Ghosh. 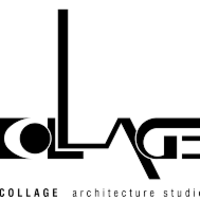 Prominent projects: Freedom Park(conversion of the old Bangalore colonial prison into a contemporary urban park: Bhopal Gas Tragedy Memorial (unbuilt, 2nd prize winner in a national competition): National Military Memorial......etc. 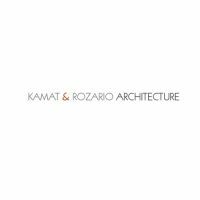 Kamat & Rozario Architecture is a multi-disciplinary, award-winning team of Bangalore Architects offering services in architecture, interior design, and furniture design. We have held steadfast to the importance of the concept and an investigative process of design, in an increasingly complex marketplace, be it residential or commercial architecture or interior design, and in a world driven by appearances and fast response time. Be it the design of Homes, Offices, Institutions or Leisure and Retail spaces, the interpretation of the client’s brief is always an effective basic building block to fulfill the client\'s intangible needs. 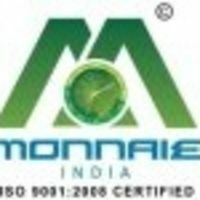 Monnaie Architects & Interiors is an internationally recognized and an award-winning Architecture and Interior design firm with expertise in residential, commercial, hospitality and retail projects. Headed by Ar. Premdas Krishna, who has become a prominent expert in the industry. The Designing Crew of the company combines extraordinary talent and experiences to create spaces, nationally and worldwide, that can be as timeless or the cutting edge as the exceptionality of each of its Clients. Our Designing crew’s motto is to develop Architecture and Interior Design experiences that are distinctive, compelling and of excellent quality and individuality. 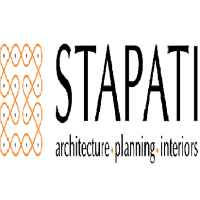 Stapati is an architecture practice established by Tony Joseph in 1989. Tony graduated from MIT Manipal and completed his masters in design from the University of Texas, Austin, in the Charles Moore program. Interactions and travels with Moore and his views on regional architecture had a strong influence in the direction of Tony\'s design. 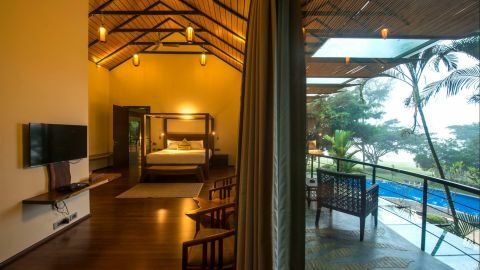 He returned to India and started Stapati, which has steadily grown into a multi-disciplinary practice emphasizing values of integrity, sustainability and innovation. Stapati’s architecture emerges from a sensitive understanding of the context; one where the evolution of design is firmly rooted in the region’s traditional narratives, while interpreting the elements in a modern context. 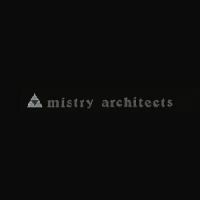 There is an underlying acuity in the design approach, which responds to the site uniquely, rendering it relevant and timeless. 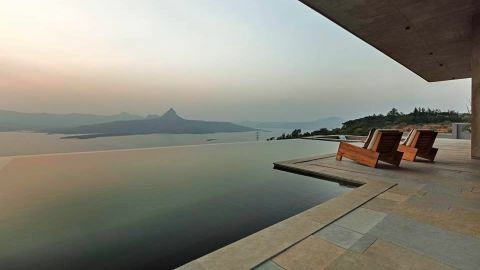 Stapati, under Tony’s able leadership has won numerous awards and recognitions over the years and has been selected as one of the Top 50 Most influential design firms in South Asia by Architectural Digest for four years continuously, from 2014 to 2017. 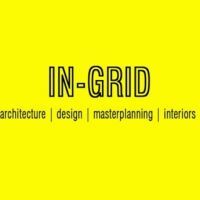 IN-GRID, is a young multi-disciplinary design practice which provides architecture, master planning & interior design services. Design to us remains as an interesting exploration each day, each project. We believe in creating spaces which responds to. 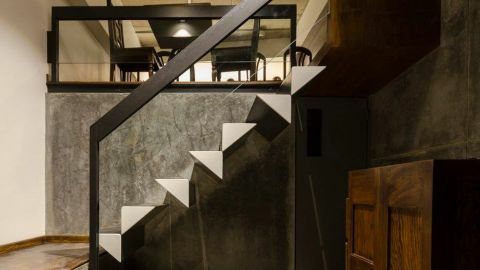 STUDIO MOTLEY is a multi-disciplinary design studio with project experience ranging from large scale master plans to architecture and interior design. The two partners, Kajal Gupta and Anand R . Kurudi have bachelor’s degrees from Bangalore University and a master’s degree from the University of Cincinnati and Savannah College of Art and Design, USA respectively .Together the team brings in the right blend of international experience and local expertise in design. 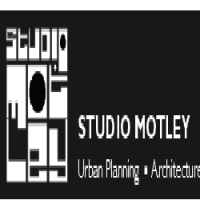 STUDIO MOTLEY is an architecture/ planning practice dedicated to pursuing excellence & integrity in design and service. We bring a high level of commitment and ambition to all our projects and work closely with stakeholders, to create environments that are valued by and are meaningful to the users. Our mission is to design buildings/ townships that enhance both the built and the natural environment. Teamwork forms the core of our firm’s philosophy, combining the professional skills of our firm’s personnel with job specific consultants to create focused and effective project teams. 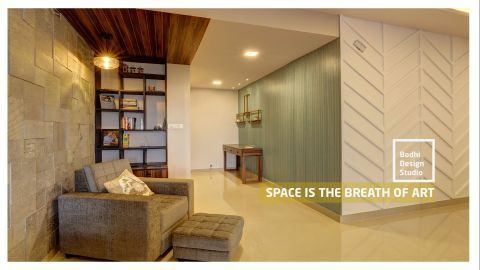 Rhythm of Space Design studio is a Bangalore based architecture firm that provides high quality design services to developers, individual clients and specialized architectural firms. Our services span the entire project value chain from conceptual design to architectural project management. 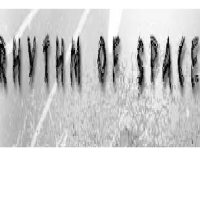 Rhythm of Space’s commitment to superior client service and on-time delivery allows us to deliver best-in-class services at extremely competitive rates. ,,We are what we repeatedly do. 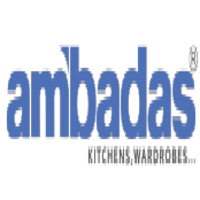 Excellence then, is not an act but a habit'' - Aristotle Becoming one of the country\'s leading Modular Kitchen and Wardrobe manufacturers did not just happen overnight. Right from the day of inception our business model has evolved by virtue of our working in this industry. 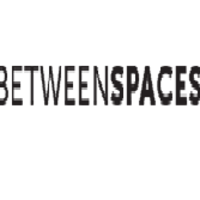 BetweenSpaces is an architecture firm founded in 2010. We operate from our own studio in Bangalore, which has won us the IA&B Young Designers Award 2016 in the Architecture category and NDTV Design and Architecture Awards 2015 for office interior category. The studio interior also won IIID Anchor Awards 2015 for small office category. Our work is an expression of our beliefs. We believe Architecture is about conversation, a dialogue between spaces. Between Spaces could be bricks in the wall, the mortar between bricks, glass, water, light or even air. Between Spaces defines the street between houses, the fence between the buildings, the stairs between floors, the space between walls, the wall between rooms, the threshold or even a fold between pages. The making of these spaces and something between spaces through simple strategies of orientation, scale, volume, proportion, spatial and material manipulations and manipulation of light to get these unique spaces forms the core of our practice. Architecture is the process of planning, designing, documentation, and constructing buildings or any other structures. 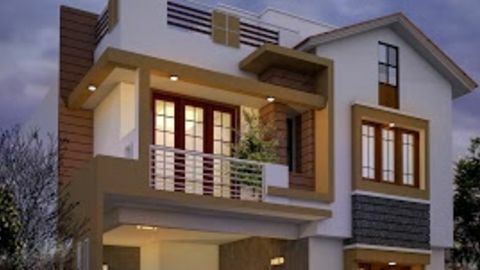 Architects are the ones who give life to our house through various means of house building. 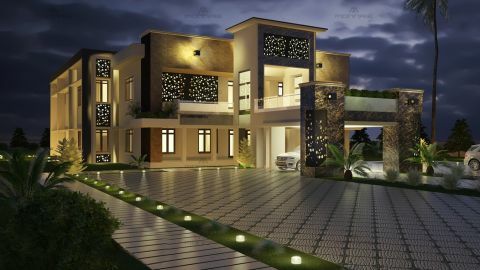 It involves a lot of challenges like creating basic sketches, designing the home architecture, planning its layout, and final architectural design layouts, which requires considerable patience and dedication. 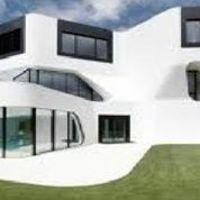 Today, an architect has more duties than just drawing up a particular plan of the house for the builders to follow; they should also excel in the critical aspects such as public safety, landscaping, eco-friendliness, and in understanding whether the structures fit into the lifestyle of the people residing and overseeing of projects. Creativity, planning, designing, and their implementation includes the daily job of an architect. Any architect needs the skills like analytical skills, communication skills, creativity, organizational skills, technical skills, and visualization skills to survive in the industry. 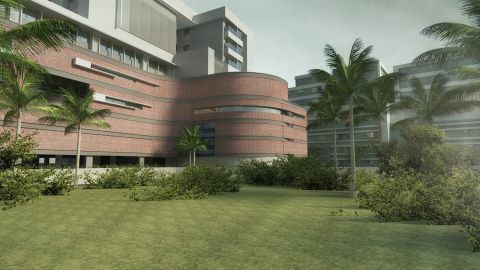 They provide services in connection with the building design and also to the space surrounding the building. Some of the architectural firms focus on specific projects like healthcare, technological expertise, public housing, event management, project delivery methods, etc. 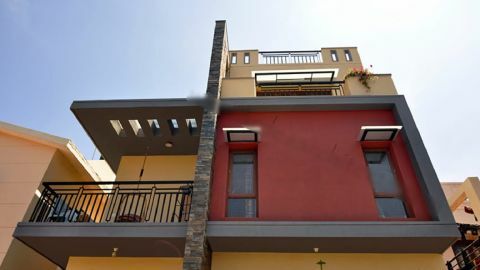 Many architects are specialized in areas like home construction and design, kitchen building, garage construction, interior architecture, garden work, renovation of homes, offices, retail stores, and other structures. 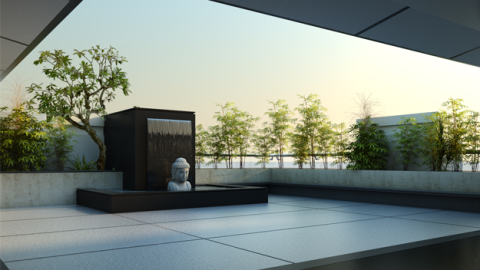 Some are specialized in glass material designing, visualization experts, eco-sensitive designing, and landscaping. It is also important to come up with a team of professionals who will work on the stages of the project including engineers, designers, and the financiers. 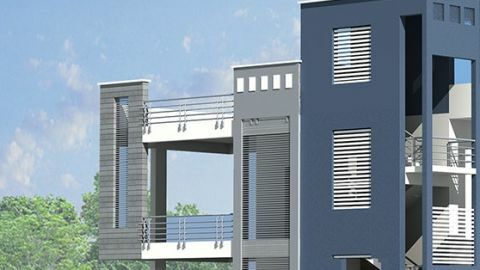 The architects in doddenakundi, bangalore makes the work easy by laying a strong foundation for your dream home. Some of these architects are employed in architectural firms, and some others work as freelance workers. Architects, hired by the clients are responsible for creating a design concept that meets all requirements of the client. 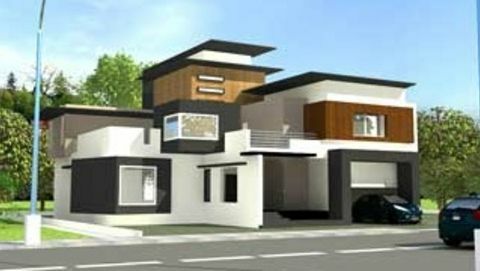 These registered architects are well educated and qualified, with several years of experience and practical knowledge. 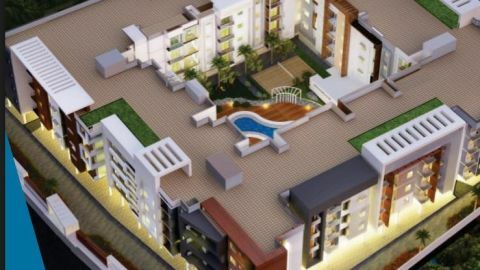 Kraftivo makes it easier to find professional and skilled architects in doddenakundi, bangalore. One-stop destination where you can find the professionals, according to your budget, and expectations, who could help you with any building project. 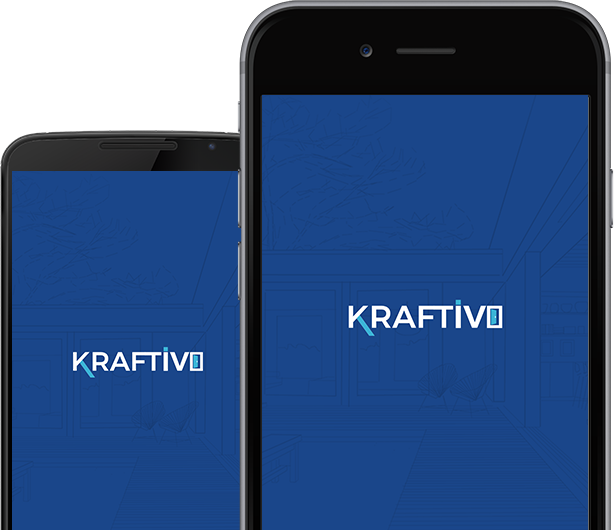 You can easily find an ideal architect via Kraftivo and can start on with the creation of your perfect home. 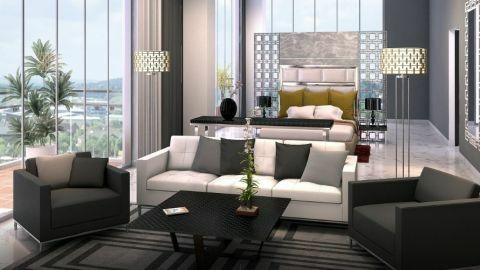 Looking to hire an interior designer? Request for Free Cost Estimates from top Pros near you! Submit your design requirements by completing a quick form. 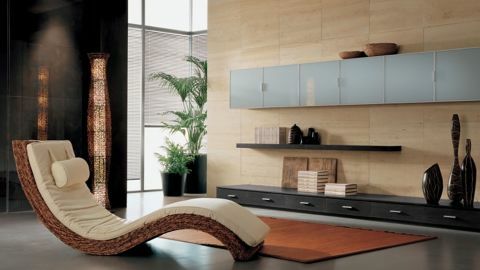 You’ll receive up to five best quotes from interior designers based on your requirements. Compare quotes, profiles and reviews to hire the best designer. Your requirements have been successfully submitted.Top interior designers matching your requirements will get in touch with you shortly. '; phtml += '' + profs.ratingcount + ' Reviews. Through Kraftivo, we are trying to lessen the struggle of every home/business owner in finding the right interior design service professional. For this, we have build a technology platform with a user-friendly interface and online searchability. Kraftivo helps the homeowners in connecting with certified, top-rated professionals, and it also reduces both the time and effort in hiring the professional. 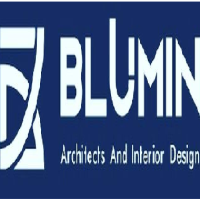 Our aim is to be a trusted one-stop resource for all architectural, design & decor related services required by the home/business owners for efficiently designed, beautiful spaces. 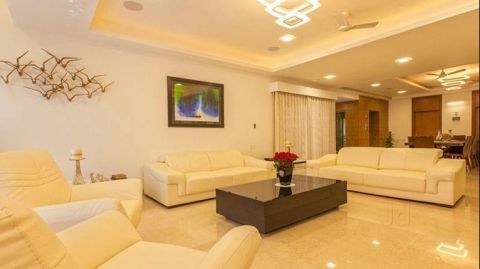 Kraftivo is a unique one-stop solution for all your interior designing needs. Subscribe to our newsletter to receive all updates.